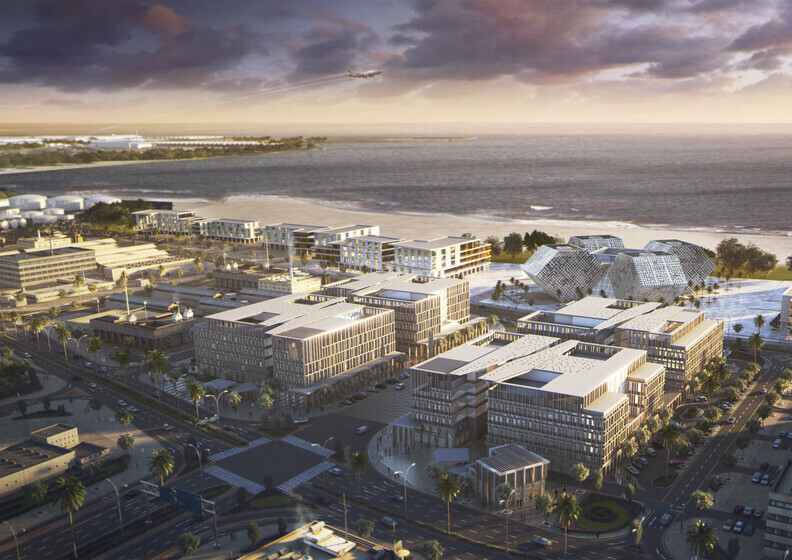 The development of the three Economic Zones in Qatar known as QEZ1, 2 and 3 are seen as key initiatives towards a higher involvement in the nonhydrocarbon sector. Our client, Manateq is the leading provider of QEZ and we are the designers for one of the initial group of projects, comprising eight commercial buildings. We were involved in the development of this project from the onset, optimising the facades, utilising heat recovery technologies and providing a mixed mode ventilation system in the basement to improve energy efficiency. There are two plots with four buildings on each. The ground floor is predominantly allocated to retail. Two levels of basements for car parking, plantrooms and FM facilities. The buildings will achieve a GSAS 2 star or higher rating.